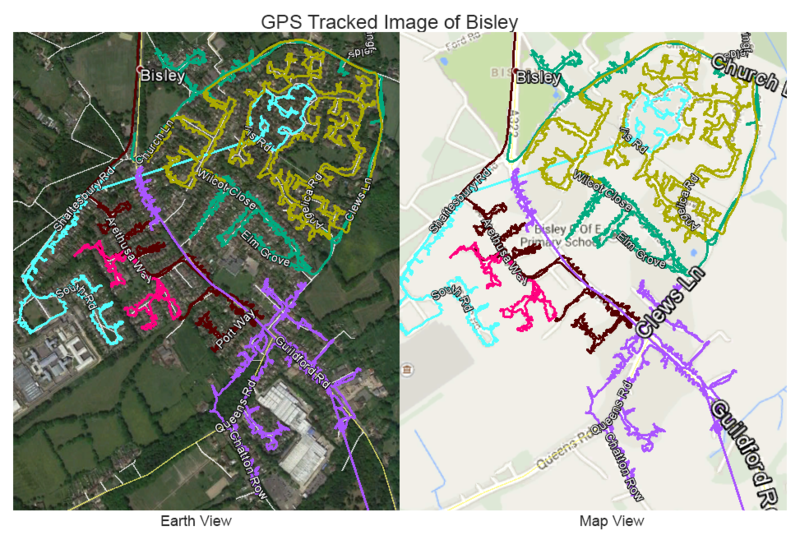 For GPS tracked leaflet distribution Bisley GU24, contact Abracadabra Leaflet Distribution. We offer ethical, cost-effective flyer distribution and all of our flyer deliveries are GPS tracked as standard. We use a premier GPS tracking system, which provides genuine and reliable GPS tracks after the flyer distribution. Our team will then send you a report on completion of the flyer delivery round so you can view the exact route that the distributor took to deliver your leaflets. We also offer a bespoke mapping solution and geotargeting to ensure you are delivering to the right target market. With amazing prices on printing too, you don’t need to go anywhere else; if you have your leaflets printed and delivered by us then we will give you a discount on our distribution services. We are also a member of the Leaflet Distribution Organisation (LDO) and follow their code of practice. But don’t just take our word for it – see what our clients have to say about us by visiting our testimonials page! We can definitely ease your stress for your time sensitive marketing and promotional campaign as we offer Guaranteed Timed Deliveries from 1 Day Guaranteed to 14 Guaranteed. Bisley is a village in Surrey, located around three and a half miles west of Woking and just south of West End. Promote your business in this village through direct marketing. Abracadabra Leaflet Distribution Bisley can cover its flyer distribution in GU24 including Chobham and West End.